and Sat May 12 for excavation work. We apologize for this inconvenience but this work is necessary to keep this range licensed. Published by Wally Kampen, in Outdoor Range. An all day shoot with historic roots. Cups, trophies and shield date from 1910 – 14 era. Ranges are 100 yd., 200 yd. to 300 yd. Winners will have their names added to such treasures as the Annable Cup,the Home Loan Trophy, the Range Master, the Tramway Cup or the Nelson City Challenge Shield (three member teams). Published by avliet, in Outdoor Range, Uncategorized. Published by avliet, in Outdoor Range. An all day shoot with historic roots. Cups, trophies and shield date from 1910 – 14 era. Ranges are 100 yd., 200 yd. to 300 yd. Winners will have their names added to such treasures as the Annable Cup,the Home Loan Trophy, the Range Master, the Captain Cary Cup, the Tramway Cup or the Nelson City Challenge Shield (three member teams). A Mad Minute Match winner (high score of 15 possible rounds in one minute) is awarded the Partington Cup. Columbia Basin Trust gives money to each of the regional district areas and municipalities to be distributed to non-profit societies. Some councils vote on the distributions and others use a community oriented voting method, ie; “dot night”. A club or organization fills a grant application and attends meetings to promote their cause.Our specialist for this particular job was Darren Marsh. He wrote the grant applications and made the presentations, Along with Darren, there were other members, Clare Palmer, Stephen White, Gerry Vliet and Jay Colley talking to municipal councils and the public about supporting votes. 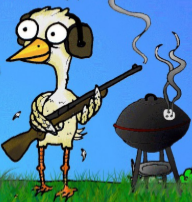 The Nelson Rod and Gun Club is proud to announce the 2014, annual Spring Chicken Shoot to be held at the Outdoor Range Sunday May 18th from 9 AM to around 4 PM. 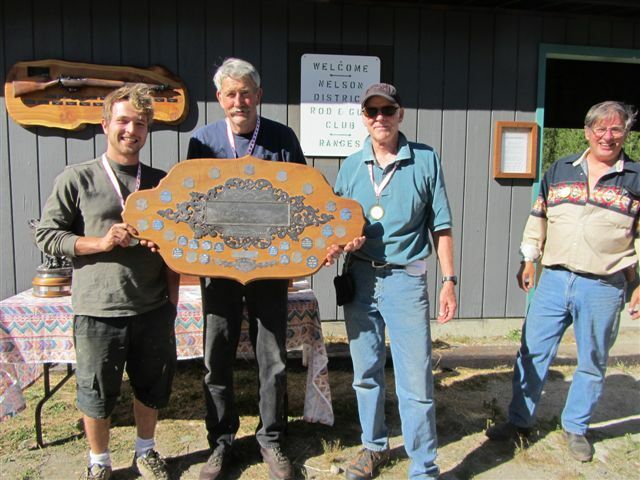 Please see the Spring Chicken Shoot 2014 post on the Outdoor Range club site for further information.